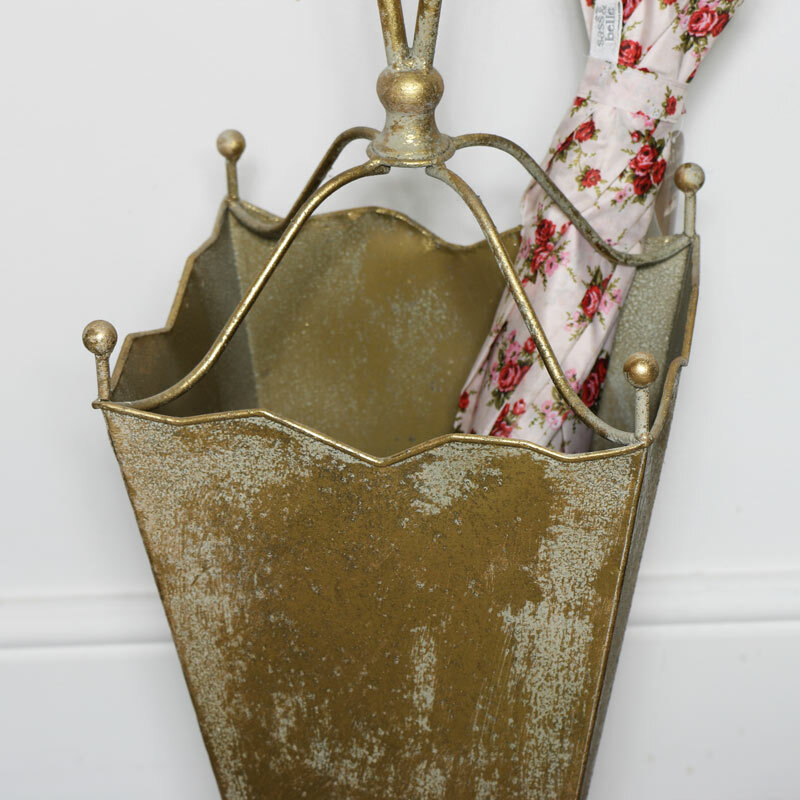 Give your umbrella a home with this fantastically rustic stand. Perfect for placing in the hallway entrance, kitchen or porch, ideal for also holding walking sticks and canes. Four compartments, in a tapered rectangular finish, that will easily hold a number of umbrellas and walking sticks, keeping them neat and tidy and your home clutter free. The handle on the top makes it easy to move wherever needed. The elegant and charming design makes this a great accompaniment to any home and hallway. 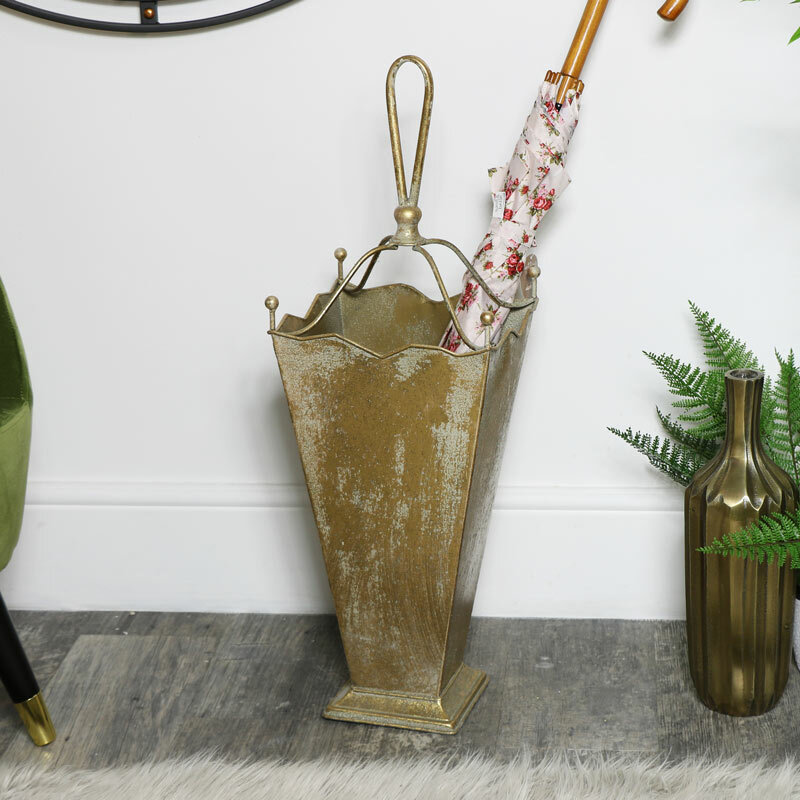 Give your umbrella a home with this fantastically rustic stand. Perfect for placing in the hallway entrance, kitchen or porch, ideal for also holding walking sticks and canes. Four compartments, in a tapered rectangular finish, that will easily hold a number of umbrellas and walking sticks, keeping them neat and tidy and your home clutter free. The handle on the top makes it easy to move wherever needed. The elegant and charming design makes this a great accompaniment to any home and hallway. 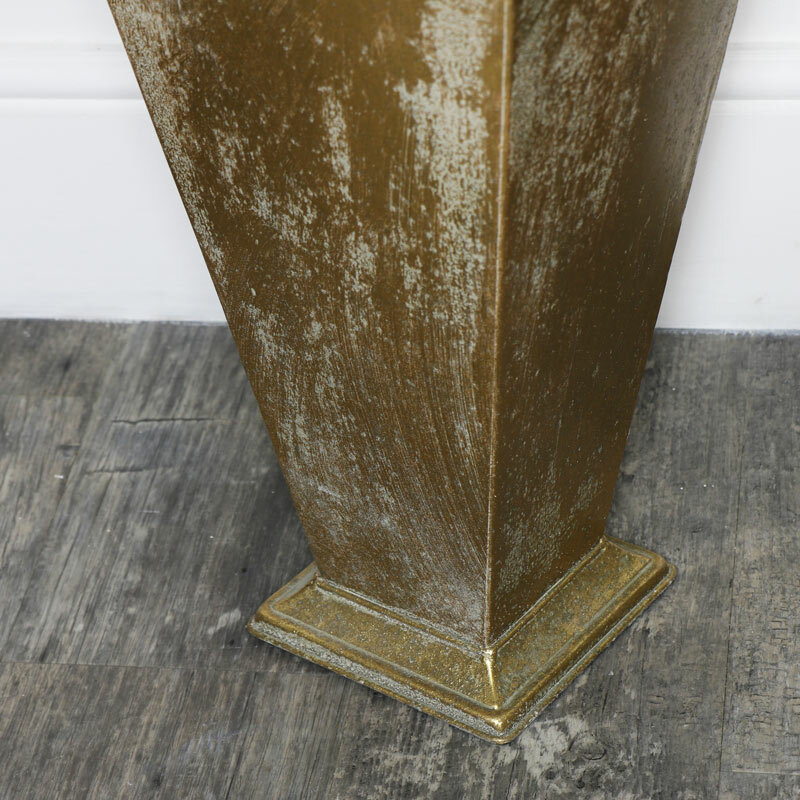 Fully assembled and constructed from metal and painted in a gold distressed finish to give the appearance of age. We have an extensive range of gifts and home accessories. Whether you're looking for that perfect gift or just want to add to your home decor, we have something to suit everyone.